In a world attempting to separate church and state, the Lord has created a divine link between adoring the Lord, prayer and academics that cannot be denied. In fact, this link cannot be understated in it’s intrinsic value. When we examine the life of Daniel, we see him growing in the language, science, and mathematics of the day, while simultaneously growing in dreams and the understanding of God (Daniel 1:4,17). It is unfortunate that the moment many people begin a biology lesson, a marketing campaign, or a business plan they often turn off their antenna to hear the heart of God. So many times, we go into business or learning mode, and we leave the place of encountering Jesus. In reality, we were created to do both at the same time. Adoration of Jesus and academic growth were meant to go together. Now, I admit, I am a professional nerd. When I fly on the airplane, have free time at night, or am on vacation – I will always be found with a book in hand. I read college textbooks for fun. Yes, fun. It all started when I was in college at the University of Michigan and a professor asked me to study what YHWH said about growing in knowledge. What I found during that season within the Scripture has forever marked me and turned me into a life-long student. At the age of 80 years old, I will still hold books in my hand and will be searching out the knowledge of Jesus in the world around me. From the beginning of time, we see God laying framework for learning and the betterment of humanity. The Proverbs frequently talk about chasing after Wisdom as though she is as priceless as gold. In fact, King Solomon, personifies Wisdom as the most desirable of all. Half way through the Scriptures, we see academics as something important enough that even the Apostle Luke noted. Jesus himself “grew in wisdom and understanding of all things” (Luke 2:52). As He grew in age, we see Jesus frequently referred to as a teacher (Matt. 8:19, 9:11, 10:24, 12:38, 23:10). Even the picture of the Holy Spirit in John 14 describes Him as teaching us in all things. Needless to say, as a teacher, I can relate to the reality that to teach is to forever learn. What mesmerizes me is that Jesus, the Creator, actually gives Himself to the process of learning. WHY? He ENJOYED it. My human brain is in awe as I think about what it will be like for Jesus Himself to teach us from Jerusalem. Now THAT is a good picture to look forward to. Why Adoration, Prayer and Academics ? 1 – Learning helps us continue to grow in the understanding of the world around us. We are called to be excellent ones on the earth; so to become effective lights for Christ, it’s important that we have an educated understanding relevant to our culture. Daniel was not “diluted” in his faith, nor was he weak academically as he studied the languages, mathematics, or sciences of Babylon. His spirit thrived in Babylonian culture, because his heart was firmly set in prayer. 2 – Learning opens up the door for us to be in awe of Christ. Instead of backing away from science because of an ill-founded belief that it will “disprove our faith”, we can dive deeper into scientific study knowing Christ is actually revealing Himself in the midst of it. Jesus is not afraid of science; He created it for the revelation of His heart toward humanity. By understanding this, we are opening up the door to rightly adore Him. 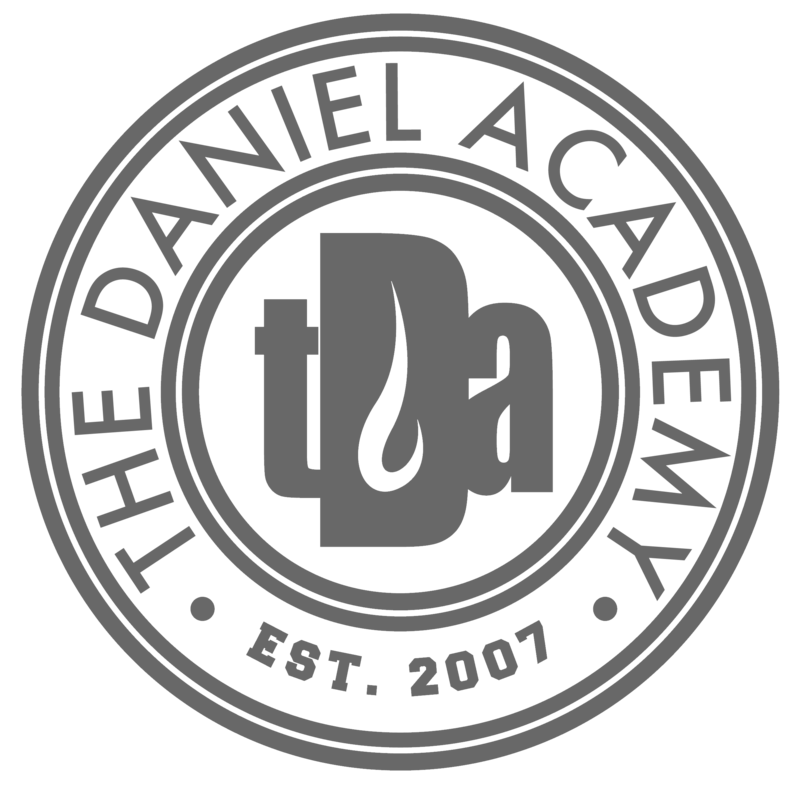 At The Daniel Academy, we teach students that if we don’t understand a concept in class, it is a gateway to worship our God whom we cannot fully understand. He is a complex Creator, worthy of adoration, so when we adore Him in our moments of confusion, He gives light and understanding to concepts which could otherwise be missed. Prayer enhances education. 3 – Adoration, prayer, and academics are knit together. We have found a distinct connection in our classrooms between spending time in prayer and the academic performance of our students. We practice 3x a day prayer in every grade level. Every day, we begin with morning assemblies, which are focused on worship and adoration prayer. During this student lead time, we describe who God is and declare His goodness. Around mid-day, our students do intercessory prayer in class, where they pray for one another, current events, or local issues. At the end of every school day, we close with thanksgiving prayer, where students and teachers lift grateful hearts to God for the ways they have seen Him move. In addition, our school encourages families to spend time each week in a local prayer room. 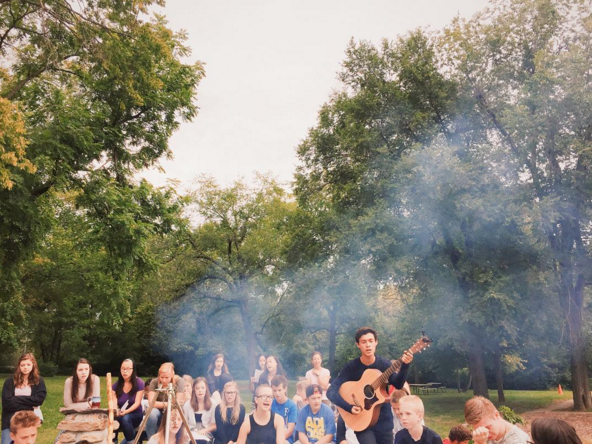 In doing this, we teach students to pray, study, and learn in an anointed atmosphere. For some, this may take place in their local churches, like the International House of Prayer Kansas City, Navah Church KC, or many others where our families are involved. When we give ourselves to a lifestyle of prayer in this way, we often see stress levels decrease, academic understanding grow, and the hearts of students come alive. 4 – Adoration-fueled academics creates world changers. When we feed both our hearts and our minds, it allows us to gain understanding about WHY we learn. WHAT we learn is secondary, because it has to be fueled by something greater. Adoration, prayer, and academics have found a meeting place at The Daniel Academy. Our staff, faculty, and families are on a journey together to train and educate world changers who are passionate about seeing Jesus made known on the earth.